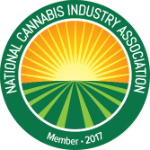 Created to provide helpful information about the Washington D.C. Cannabis Industry. How can I obtain a Washington D.C. Medical Marijuana Card? For the latest cannabis-related legislative updates on Washington D.C., check out our Cannabis Bill Tracker! WASHINGTON D.C. SUCCESS STARTS WITH CONTACTING US!